Het komt niet veel voor maar er zijn wel degelijk vrouwen die hun mannetje staan in de autowereld, een wereld die nog steeds van-en voor mannen weggelegd zou zijn. Ze willen hiermee laten zien dat ze er echt wel iets vanaf weten, sterker nog ze gaan zich eens flink uitleven met ‘DE 3 Hot Hatches’ van dit moment. THE HOT hatch has undergone a renaissance. Sleeker styling and — at last — a comfortable ride have made the modern version more driver-friendly than the souped-up lad-mobiles of the 1980s. 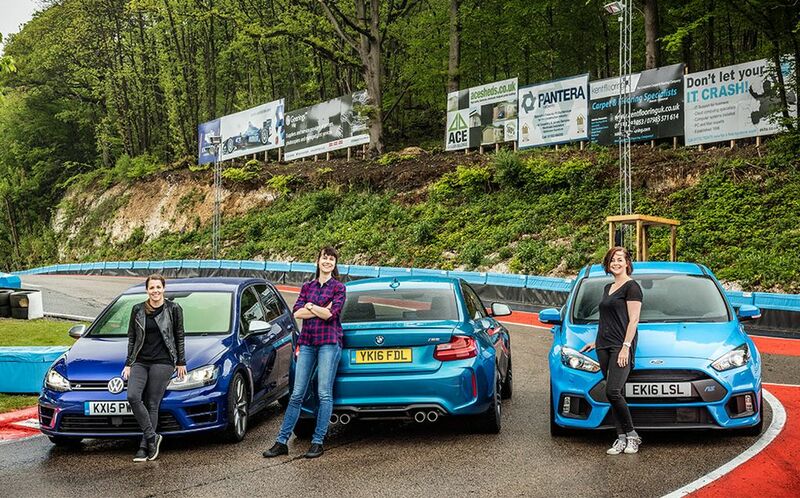 So Driving’s boy racers stood down and handed over to three girl racers to put recently released models from Ford and Volkswagen through their paces, alongside a new rival from BMW, which, though strictly a coupé, aims to match the others on performance and practicality. 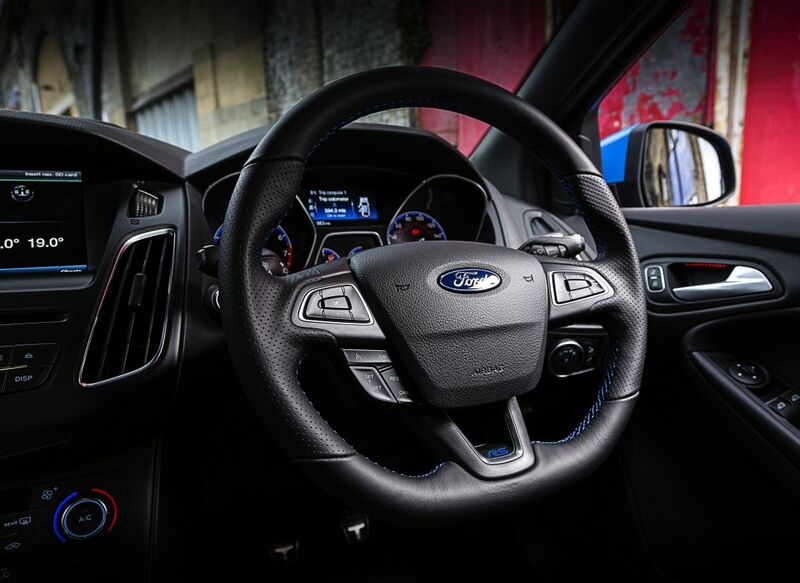 The three cars come with plenty of gadgets, including sat nav, impressive sound systems and Bluetooth phone pairing, plus electronic driving aids that help you handle their pulse-quickening performance without risking life and limb. 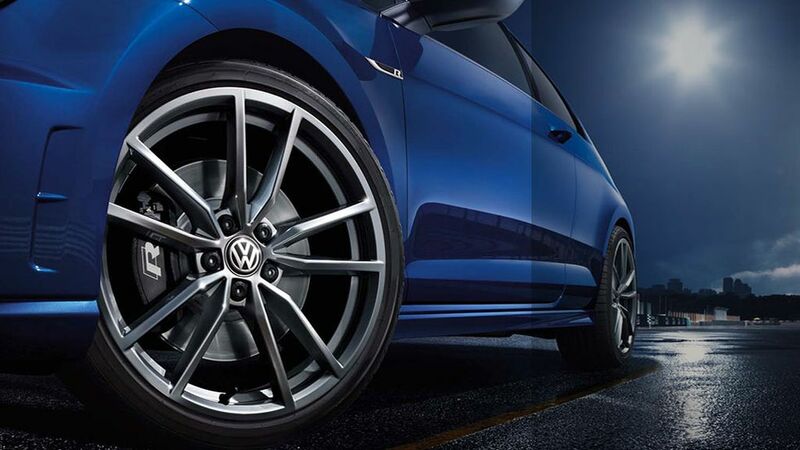 In the first five minutes of driving the Volkswagen Golf R I felt my personality morph into the car’s. As it accelerated from 0 to 62mph in a shade under five seconds, so did I, from patient pootler to the type of woman I imagine would own such a vehicle — self-assured and determined. Pulling up at the Buckmore Park track in Kent for our three-way test drive, I’m confident these traits are going to stand me in good stead. 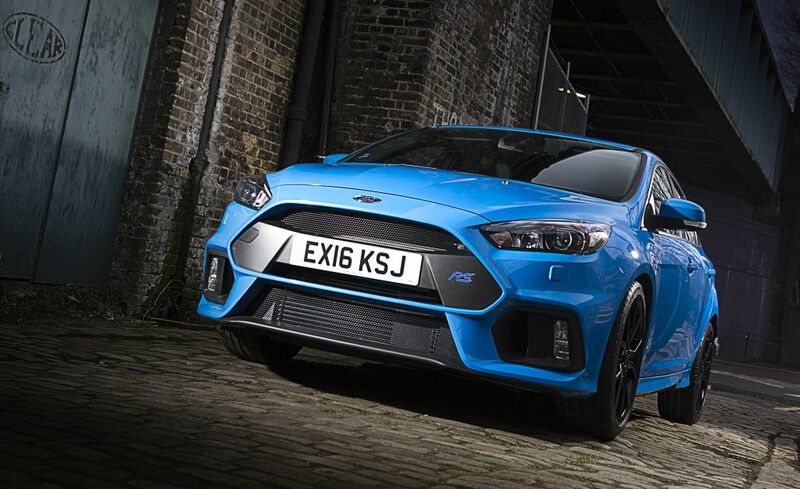 The Ford Focus RS driven by Lizzie Catt, in an eye-jarring shade called Nitrous Blue, is sporting a masculine rear spoiler and a front grille to rival George Foreman’s. I also can’t see Lizzie until the door swings open and I realise she’s sunk into a classic boy-racer bucket seat. No reputable woman could cruise around in that and hope to be taken seriously. Then there’s Emma Smith’s BMW M2. It’s your archetypal midlife-crisis man-mobile. It loses me further when I realise that despite costing £10,000 or so more than my car, it’s sporting two fewer doors. 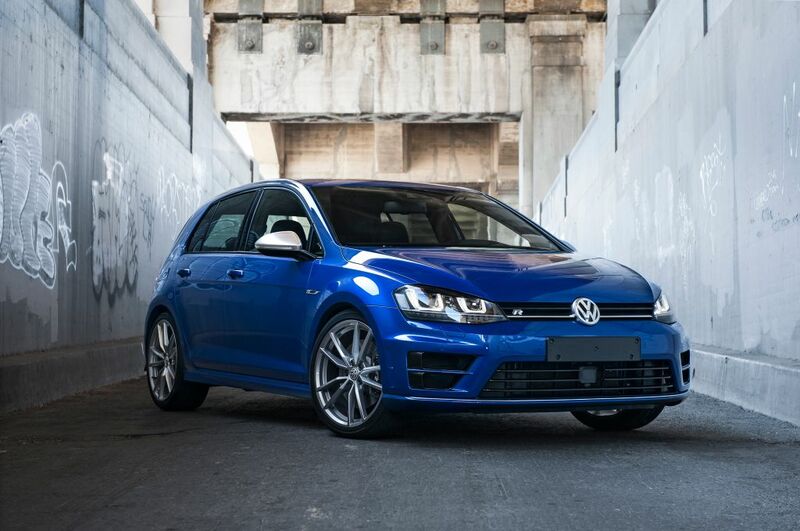 When it comes to strutting your stuff, it’s definitely a win for the good-looking Golf R, which is racier than a humdrum standard Golf but not in the least offensive. Giving the engine some wellie, I’m not only in awe of the turbocharged adrenaline rush, but impressed by the six-speed DSG semi-automatic gearbox, which helps the car pile on speed like a rollercoaster. The optional Dynamic Chassis Control (£830) allows for some fun as you can soften or stiffen the suspension and adjust the steering response at the touch of a button. In Sport mode it begins to feel like Doc Brown’s DeLorean just before it disappears back in time. There’s also the four-wheel-drive system, which means I can go fast without spinning the tyres. The exhaust purrs and crackles on cue. Yet the R is very civilised, covering miles of motorway without wearing me out or threatening to shake itself to bits. The seats are orthopaedically comfortable: no numb bum here. So at 37 I finally feel I’m driving an adult car. Unlike in the Ford, I wouldn’t be embarrassed to offer someone a lift. The automatic stop-start is a useful addition too. The dashboard is legible and uncluttered, but that’s not to say the car doesn’t have hi-tech gadgets. On the contrary. The 5.8in touchscreen in the central console has some great, faff-free features. Pairing your phone to the Bluetooth system is easy, and the sound from the speakers is crystal clear. There’s a rear-view camera for reversing, and warning indicators if another vehicle is too close. Once I figured out where the postcode setting was on the sat nav, that did a good job, leaving me to show my fellow girl racers how it should be done. 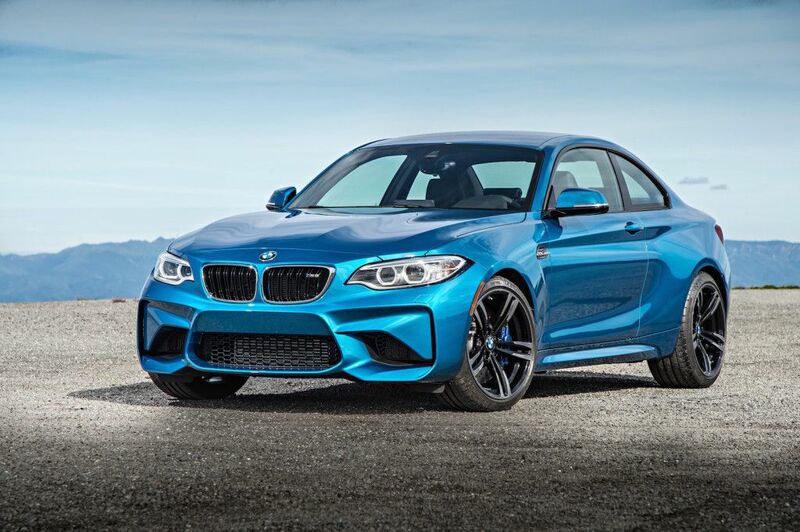 Why waste time on the brassy Ford or the mousy VW when the BMW M2 is the real, smile-widening deal? Even from the outside the muscly M2 looks so undeniably butch that I emerged from it after a two-hour drive with a definite swagger. Being first off at the lights is pretty much a given (if you overlook one fleeting encounter with a McLaren). And while it may seem petty, that’s the sort of minor victory your average addled mother — me — sometimes needs. So the four-year-old’s had a little accident and your ears are being mauled by the Frozen soundtrack? Who cares? Eat my dust. The M2 is basically a small coupé with racetrack ambitions, but with four seats and a decent boot, it’s as much a practical family car as any hot hatch. Yes, at £44,080 it costs about £13,000 more than the Focus RS and £10,000 more than the Golf R. But — BMW enthusiasts take note — it’s almost £13,000 cheaper than its big brother, the M4, with little to separate them in terms of performance. 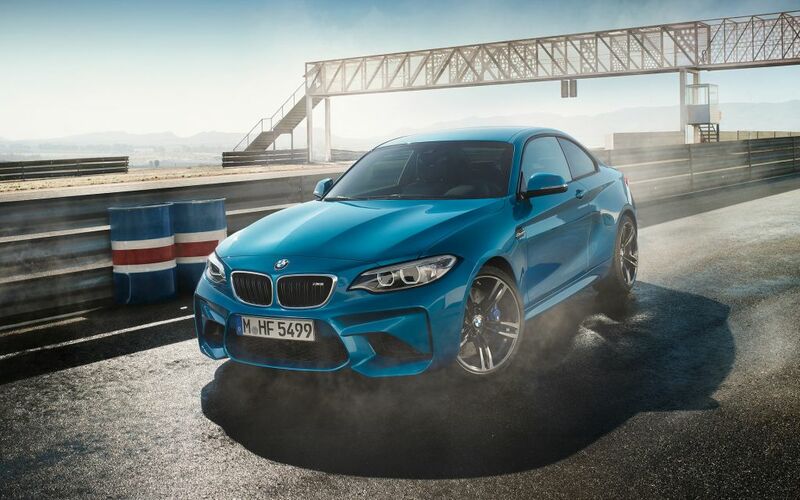 That’s because, while the Ford and VW both have four-cylinder engines, the BMW has an altogether meatier turbocharged 3-litre straight-six, producing 365bhp. Despite lacking four-wheel drive, it has the fastest acceleration of these three machines, storming from 0 to 62mph in just 4.5 seconds. There’s a constant growl from the four exhaust pipes, which makes for an uplifting soundtrack on city streets or winding A-roads, but it’s best to turn up the stereo on long motorway drives, where it becomes more of a drone. Despite its power, the M2 never feels hairy. It’s a straightforward and practical car with an ample boot, and you can park it on an ordinary street without attracting much attention, yet still draw admiring glances when you’re on the move. Everything is positioned perfectly in the M2. The six-speed manual box gives nippy and smooth gearchanges; the steering is responsive and the brakes even more so. Press the “driving experience control switch” (catchy) and you can shift between Comfort, Sport and Sport+ modes, which adjusts the throttle response, Dynamic Stability Control (DSC) settings and steering resistance. In Sport+ mode the DSC is turned off and an ominous symbol of a sliding car pops up on the dashboard screen. It is possible to skid the back wheels in this mode — perhaps not one for the school run, then. There are one or two slightly cheap-looking scratchy plastic sections in the interior, which seem a little out of place in such an expensive car, but the black leather seats have tasteful blue stitching and the overall feel is sporty, sleek and pared back. Be aware, though, that the BMW has only two doors. There is plenty of space for two child seats in the back, but why do your back in? Fill your MPV with plastic tat, discarded snack wrappers and biscuit crumbs: this is the perfect grown-up second car for child-free getaways. I’ve had a soft spot for hot hatches since learning to drive in a Golf Mk 1 in the mid-1990s. It wasn’t even a GTI — it was a GL — but it was spirited, as was I. Together we could beat anyone from the lights. Since I started a family, driving has been more about transporting small people and all their stuff than traffic-light drag races. A sensible Ford Grand C-Max people carrier became the family wheels when baby No 2 arrived, and I even opted for an automatic gearbox as, frankly, changing gear seemed more of a chore than changing nappies. I’ll confess that at first being handed the standard Ford key fob wasn’t much of a thrill. However, the RS is a head-turner: I had to fight to keep a smug smirk off my face as I climbed in and people at a nearby bus stop tried not to gawp. The Recaro racing seats — a £1,145 option — grip your legs like a pair of Spanx. I reached for the seat-height adjuster but the lever wasn’t there. Want a more commanding road view? Get another car, mate. With the children dispatched to the grandparents, the RS and I were alone at last. Yes, it wants to pull you along like an eager puppy, but in Normal mode it’s surprisingly restrained. It has a firm ride, but it’s not tooth-rattling. It also feels satisfying to have to grapple with the car’s manual gearchange. With 345bhp, the RS is powerful, but not intimidating — more a willing accomplice. On a winding road I switched to Sport mode, which stiffens things up and adds a satisfying pop from the exhaust. Next is Track mode. Now you’re talking. The engine sends surges of power to all four wheels, and something called torque vectoring lends the car an unholy ability to hug the road. 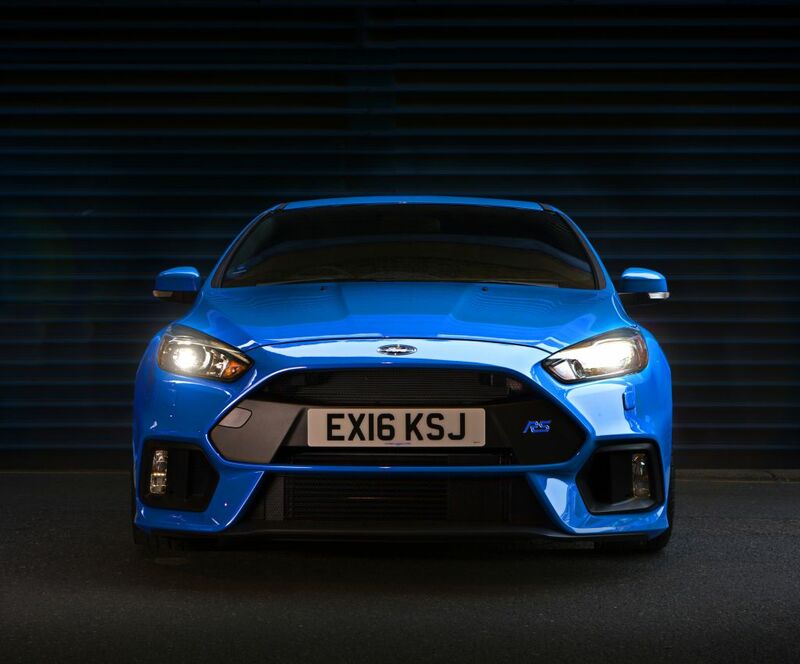 Owning a fast Ford isn’t for the faint-hearted: the RS gets a lot of attention, and not all of it friendly. The kids’ car seats remained in the RS throughout. Supermarket sweeps, play dates and even an outing to the tip were conducted in the interests of, er, objective testing. It really does do it all, just as a hot hatch is supposed to.